Crystal Clay is a two-part epoxy clay that is easily mixed and formed into any shape. Working time is approximately 2 1/2 to 3 hours after clay has been mixed. 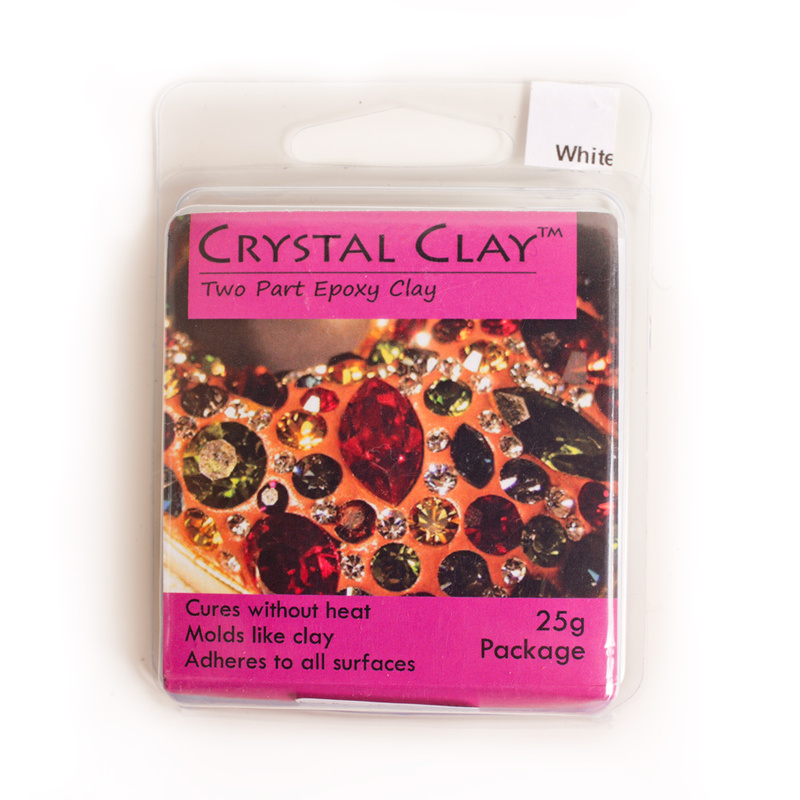 Clay is fully hardened in 14 – 16 hours. Package includes 25g total of Part A and Part B, gloves for mixing and a small beeswax applicator toothpick.